Offer protein to your birds, particularly in the winter, using Raw Peanut Splits in your feeders. Peanuts entice both seed and insect loving birds to dine, due to their high protein and fat contents. These raw halves fit easily into a peanut or other mesh feeder, to the delight of your bluebirds, mockingbirds, and woodpeckers. 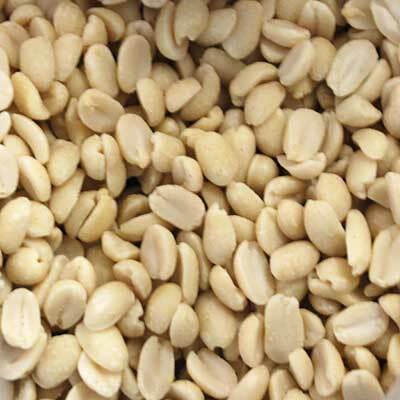 Place a nutritious bird snack in your garden using these Raw Peanut Splits. Note: These Raw Peanut Splits are packaged in a 5 pound bag.